This is the beginning of the hop , so you're in the right spot!! 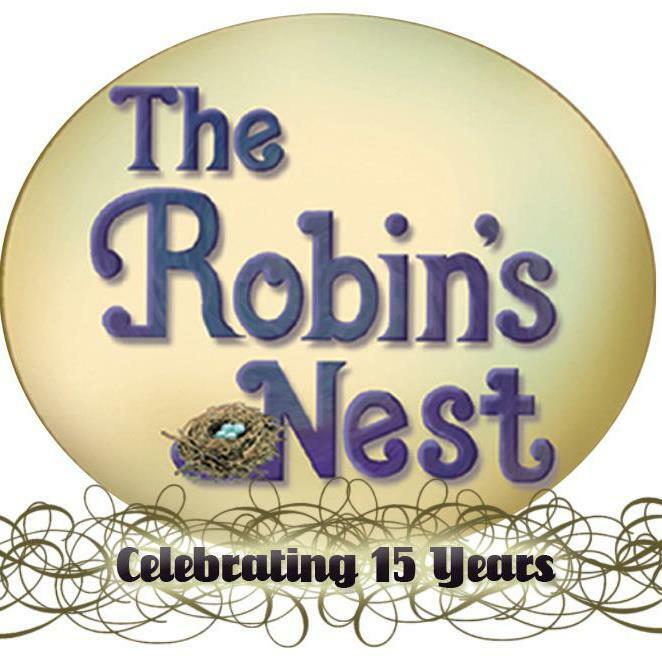 Everyone in the hop is featuring products from The Robin's Nest. They are a wonderful sponsor of my Craft It Up & Link It Up linky parties and this will give you a variety of ideas what to do with their products and what types of products they have!! 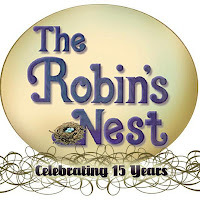 The winner will receive some Robin's Nest Dew Drops!! There is lots of wonderful blog candy along the way!! Be sure to stop at each blog along the hop, leave a comment to be eligible to win. Beautiful! LOVING the colors and the onesie's!! Darling card you really are talented and love the colors so pretty! Super adorable Tara! Love that file and love what you did with the colors and embellishments!! Adorable card! I love those papers! What a great hop this morning! Have a great weekend. Super cute, love the colourful onesies!! Adorable card. Love the colors. love the bold colors... you wouldn't think to use those colors for a baby card but they are GREAT!!! love it!!! Awesome card design! Love the baby onesie's and adorable clothespins! Ooooh, so darling! Cute card! Wish I could enter for stamps! So cute but don't do facebook! Thanks for sharing! Good blog hop. Had a problem when I clicked on Laura & Lisa links you have on your list but was able to get to their blogs from person ahead of them in the blog lineup. I love your card its super cute and i love the colors! I follow you with bloglovin, i like your fb page too! Now off to hop! Tara - what a wonderful card, I love the papers and this is such a wonderful cut!! So cute. Thanks for a fabulous hop! Have a great rest of the weekend. This is a beautiful card. I love the papers you used and file you chose. Great job!! Your card is fabulous!!! I love to look at your cards. You have a great talent and gift...thanks for all the tips and tricks that you have given me, my dear bloggie friend...I think that my cards are starting to get alot better. Tara this is sooo cute!!! Love the clothes pins and onesies hehe.. adorable! Super cute Tara! love those tiny clothes pins! Great hop! Tara this is such a cute card!!! I am a follower, and am a fan of your FB page and have been for awhile :) Your work is always so wonderful! I just love your card and the colors are sweet!! I love the card, adorable, fun colors. I am now following on bloglovin, fb and here. What a beautiful card! Super cute design! I love this card... so cute.. great hopping with you.. Your card is adorable!!! Thanks so much for sharing. I'm a new follower. Have always wanted that stamp set but couldn't get it since it retired! Wish me luck! Super cut love the oneies in all the colors. I am a follower of your blog, bloglovin and facebook. Fun embellishments and colors! TFS Already LOVE you! Great hop...short , sweet, lots of awesome ideas! You made such an adorable card! Cute card, love it! Thanks for sharing! 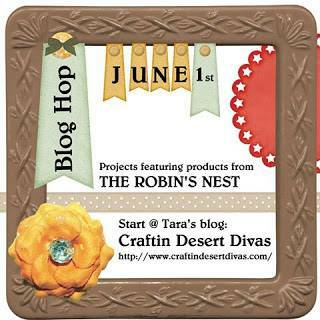 Followed your blog and Craftin Desert Divas FB page (Alexia Misso)! Very cute and colorful onsie card. Whoops. I follow you via Bloglovin and I also follow your FB page. Super cute card! Love the onesies! Great hop! 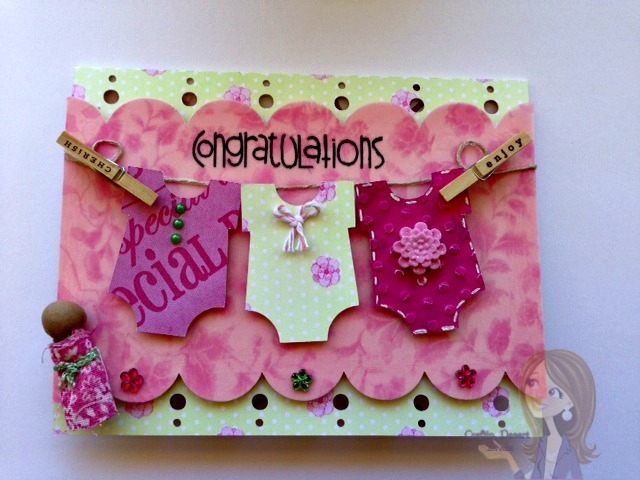 Tara, I LOVE your adorable baby girl card...it's so sweet! Thank you so much for hosting this blog hop! You did a fantastic job, and I'm so happy I got to be included in this wonderful group of crafty ladies! It was so much fun!! thanks for the fun hop and the chance to win Have a great Sunday. Such a cute project! I am already following you (here and bloglovin') already like the FB page. Thanks for the giveaway. Great project! I already follow you on Blogger and FB! Your card is so adorable! I love the onesies!